This month, the Grade 6 class will begin delving into ancient world history. We will touch on Ancient China, Egypt, and Greece. Of course, the students' website projects are also about ancient civilizations, but those will be posted next week. This week, we are reading The Emperor's Silent Army. This selection is about the famous Terracotta Soldiers that were buried with Emperor Qin Shihuang Di, the first emperor of a unified China. 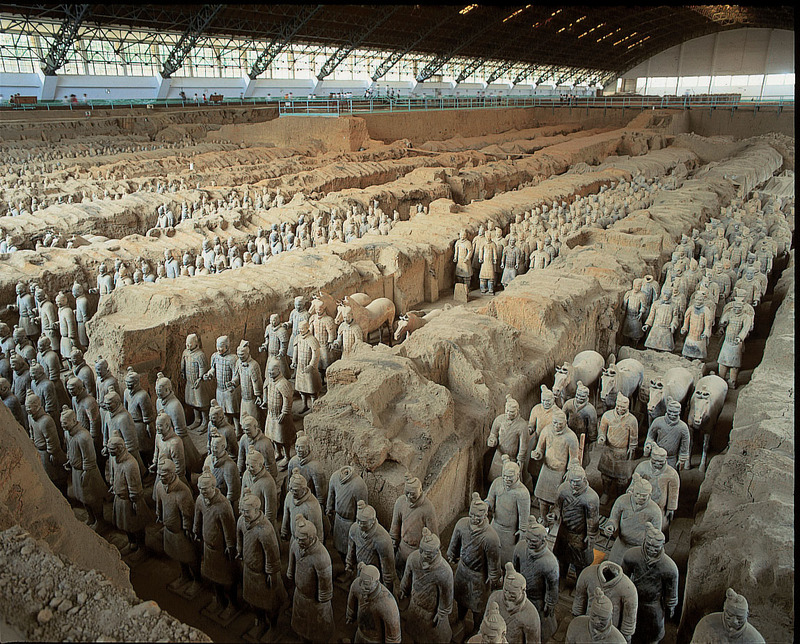 The Terracotta soldiers are one of history's most interesting mysteries. While archaeologists believe the army was meant to protect the Emperor in the afterlife, the elaborate detail and craftsmanship put into each statue makes us wonder if they were not something more. We will be discussing this and more as we cover the text on Thursday. Also this week will be vocabulary, writing, grammar, and spelling practice. A spelling test will be given on Friday. Please remind your child to study. Below are the vocabulary and spelling words for this week as well as some grammar practice.